This Cuetec Recreational Series 57" one piece cue is simply the best House Cue on the market today. 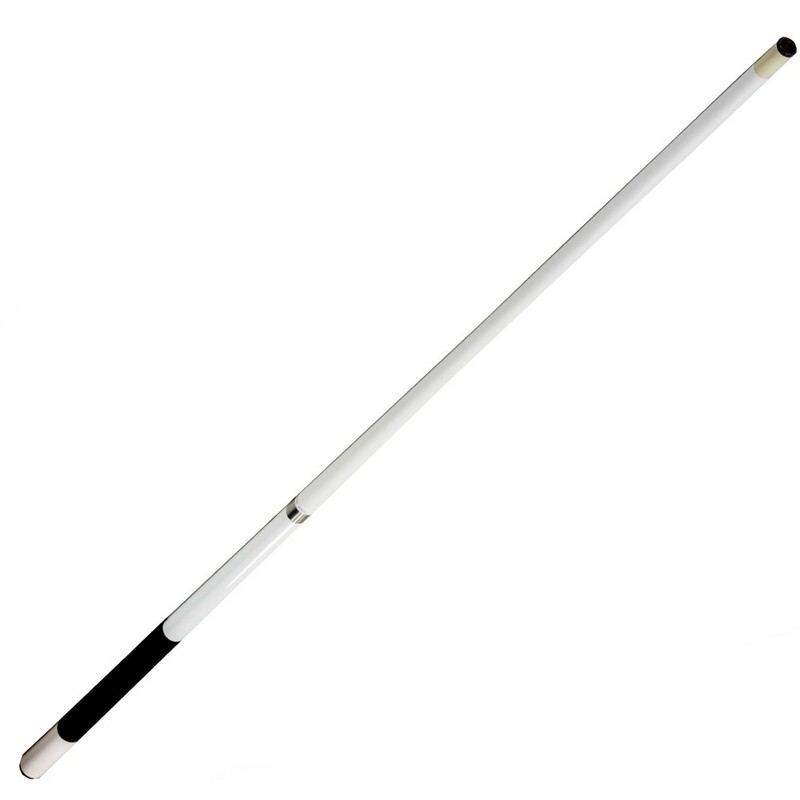 This cue is 18 ounce and all white for easy identification. The shaft portion is painted fiberglass bonded to Grade A North American Maple and is warp, dent, ding, and scratch resistant with a 13 mm deluxe brown leather tip, polycarbonate ferrule for impact absorption, and a professional taper for a comfortable stroke. These cues are made with a Power Joint Collar for added strength and feature Cuetec’s famous Veltex wrap for a sure grip. This is a top of the line House Cue great for home and commercial use.